The end of the year is always the hardest part of the school year. You’re tired, the kids are crazy. Everyone just seems to want to get to summer. I hated the end of the year. This past year, I decided I was going to change that. I wanted my kids to be engaged (and myself) all the way to the end. But, I also wanted to make sure my seconds were ready for third grade. Having taught third grade the previous year, so many of those first months’ skills were taught in second only to be forgotten. I wanted to change that (and restructure my end of the year). So I decided to send my second graders to “Third Grade Training Camp”. Please note that this post contains affiliate links. This means is that if you purchase something that I’ve recommended, I receive a few cents in return. These small returns are used to maintain this site and allow for giveaways and free resources for you! You can’t send your students to training camp if the room doesn’t look like a camping ground, right? To prepare my room, I did as much as I could to make our classroom look “campy”. I covered the blinds with green butcher paper shaped like pine trees. I also added a tent to one of my bulletin boards to be used later that week. I also sent a note out to parents asking for a small 2 person tent. They did not disappoint! The next day, this showed up at my door! After about a 40-minute struggle in the morning and lots of under breath cuss words… I asked the student who brought it in to help me set it up during Specials. Together, we got it up in about 35 minutes! Not bad! To greet my students at the door, I made these cute campers crafts. I also hung a rustic feeling “Welcome to 3rd Grade Training Camp” sign on the door. The tents really did turn out cute and were super simple! Just take pics of your kids laying on the floor like they’re in a tent, then print out and trim up. To make the tents, I used a triangle template (which you can find here) Cut two of the shapes using light and green construction paper. I cut a slit up the middle to make the tent flaps and glued the green tent to the light cream construction paper. I decorated the tents with a marker to add their name and a little detail. To organize students for camp, I split them into groups of 4-5 students. They worked in these teams for the entire week! I hung these signs above each table to designate their “cabin” or home base for the week. After surprising my students with our camp, I set the expectations for the week. We were going to have fun, but also learn. Then, I gave each student a “Third Grade Training Camp Booklet“. We went through the booklet together. We discussed how all week we were going to focus on becoming third graders by completing third-grade prep specific tasks. I showed students the task checklist page and reviewed how after completing each task, the students could check off that part in their booklet. They would only be done once all the tasks were checked. Now it was time to get to work! To jump-start our training camp, I first wanted to see how many of my students have actually gone camping. I gave each student a graphing piece, then we graphed our results on this tent. Students that had gone camping before shared with the other kiddos about their experience. Then, we jumped into learning. First, we discussed the importance of know all our basic facts. To practice, I had students make these flash cards. We continued reviewing throughout the week. Each time we completed a skill, we checked it off in our student booklet. For reading that week, we focused on different aspects that made us better readers. First, we focused on reading stamina. Each day, I gave the students time to sit and read anywhere in the classroom. Of course, I had to choose four friends who could read in the tent! To keep our routine familiar, we kept our center time the same. Each day, I just put out camping inspired activities or had students work on activities to complete a task in their Third Grade Training Camp booklet. This author’s purpose center was just what we needed! You can grab these center activities and so much more as part of this bundle here! From there, we discussed how often times, you’ll tell stories around the campfire. From there, we brainstormed our stories, making sure that our story included characters, setting, a problem, and solution. They wrote those on the campfire rock ring, then wrote their story. We hung the stories up on the back wall to give our classroom more of a campy feel! At the end of the week, I awarded students these completion certificates. But, my favorite end of training camp activity was having the students award each other a superlative award. To do this, I had each student choose another student from our classroom. I had them brainstorm a special award they would like to give to that student. They were so creative, guys! There was definitely some waterworks! Overall it was a great week and a perfect ending to our year. I know my students had fun and were totally engaged! 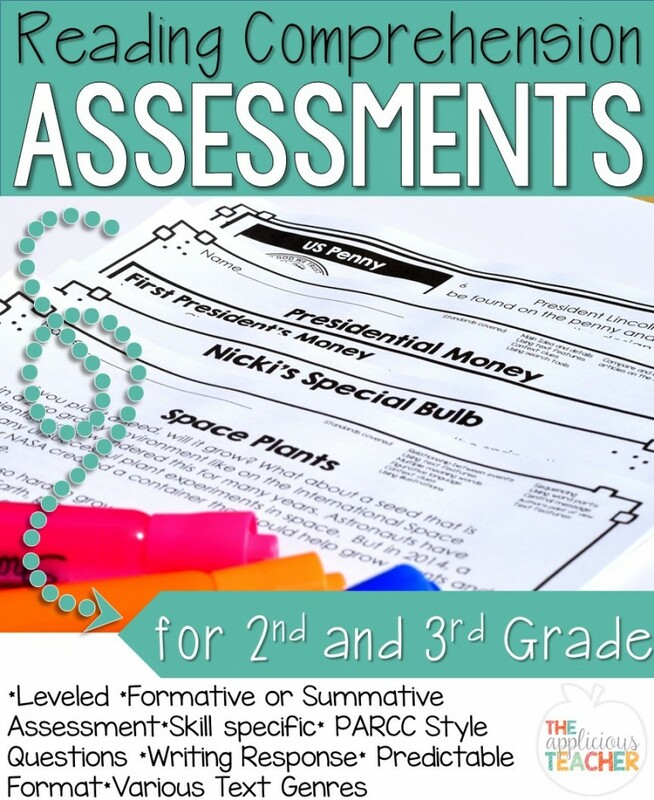 Want to do Third Grade Training Camp with your second graders? You can grab this all these activities and so much more here in my store! Happy Camping! Subscribe to our EXCLUSIVE for 2nd grade newsletter and get tons of PERFECT for you ideas, tips, and FREE resources delivered straight to your inbox!